RF Events - 2018-2-05 - I will run outside! Yep, it's winter, the real deal. Between the weather and the busy holiday season it takes serious commitment to get out that door. Repeat after me, " I can run outside consistently this winter, I will run outside consistently!" OK, we are committed! This is not to say you will not put in a few treadmill miles if that's part of your jam, but that you will get out that door at least a couple times a week. One of the aspects of the run that makes it fulfilling is that it gets us outside. 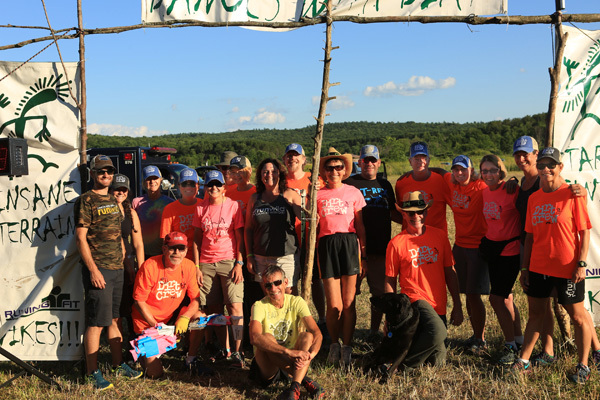 Our run gives us a chance to escape from our man-made caves and away from the air that we re-breathe with each other, and into the natural wonderful world. Perhaps it will be a morning run into the sunrise with the light crunch of snow underfoot and the self-generated steam of our breath twisting about, or a run anytime of the day or night when we get the chance to be out to feel the weather on our face that slaps us awake and lets us know we are fully alive and living life in full color. Randy Step, an admitted obsessed runner who is rooting for you! PS: HO, HO, GO! Last chance for the lowest price on the Holiday Hustle! Register by NOON tomorrow! Naughty or nice, walker or runner, come breathe in the December night air, burn a few holiday calories and give back to others! 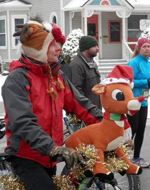 The Holiday Hustle on December 8, 2018 is a festive dash around Dexter that will get you in the holiday spirit. Knit beanies to all entrants and medals to all finishers. REGISTER NOW!